Encouraging respect for others and their community is not what you would naturally expect from 14 year old boys. We have just finished the first school pilot of RISE, our leadership programme for teenagers. RISE is a 7 module resource aimed at equipping teenagers with leadership skills through the practical means of a community project. Our vision is to see young people RISE up to fulfil their potential and become sources of hope in their communities. 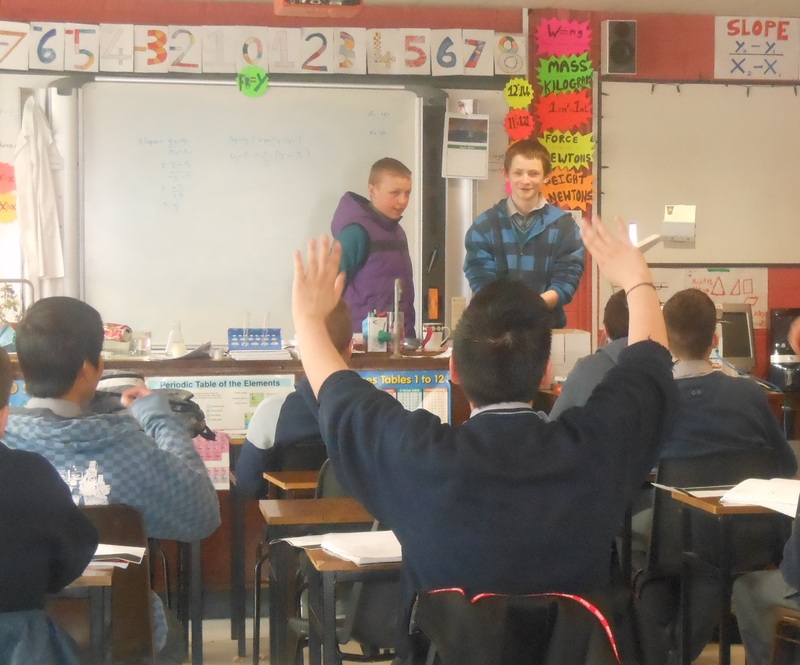 Over the last few months we have worked with over 50 boys from inner city Dublin. We watched enthusiastically as they grew in their understanding of leadership, working in a team and as they were making plans to bring hope and change to their school community through developing a campaign around respect. The 14-year-old boys were divided in to four groups, taking charge of various aspects of the respect campaign. Some delivered presentations throughout the school whilst other designed posters, organised the logistics and contacted local newspapers. 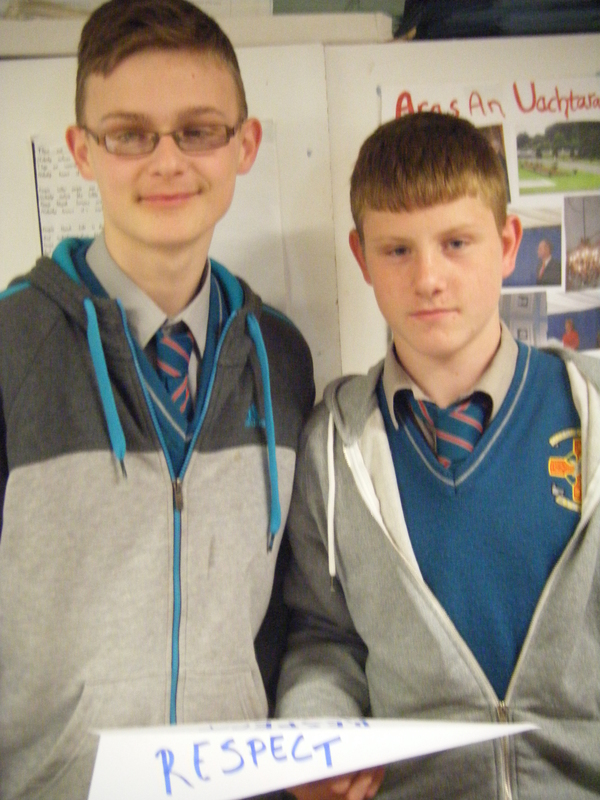 They boys also wrote letters to their teachers asking for permission to deliver their presentation, demonstrating their own respect for others in carrying out the project. Respect of property and community spaces is not a priority in the daily lives of these boys. Exposure to vandalism and destructive behaviour is normal to them. It was exciting to see their planning and hard work pay off. Pupils in the years above are still talking about the respect campaign a few weeks later! The school in which we held our RISE pilot programme have not only invited us back again next year, they are also encouraging other schools in the area to work with us. Many of the boys involved in RISE are now starting to put their new skills to use in other ways. When their school was involved in hosting a ‘Gathering’ event earlier this year, a number of our RISE participants were selected to steward car-parks, welcome visitors and direct guests around the school throughout the day. Having attended this event, it was encouraging to see how they putting into practise a lot of what they had learned about leadership, respect and working together. We have also been running RISE in a local church over the last few Sunday afternoons. We’ve been working with a youth group who have been inspired by RISE to lead change in their community. Recognising the disconnect between younger and older generations, they want to bridge that gap by practically serving the needs of elderly people in a local care home. We’re thrilled to see how both of these youth groups have been impacted enormously through RISE. They are really able to use it as a means of bringing hope to their communities. We’d love to be able to run RISE in four schools and three youth groups in 2013-14. For that to happen and more teenagers to experience RISE and make a positive impact in their community we need your help. To deliver RISE this autumn we need to raise €5000. You can sponsor one teenager to participate in RISE by giving a one off gift of €50 or you could give a regular gift (click here if based in Ireland, here for UK, here for rest of the world) that would enable us to make plans to develop and expand RISE even further. We look forward to sharing many more stories of hope and change through RISE.